After being on maternity leave since mid-October, going back to work after the new year wasn't easy. In a way, I was ready to have somewhere to go every day, but after two full months of quality mom time I dreaded going back. To ease the transition a little, I decided to treat myself to a few items that would make going back to work a little more fun. Like I mentioned in Friday's post, I got a Swell water bottle, a nice insulated thermos for my coffee, and a pretty (and functional) lunch bag. I also went to Target and indulged in some office goodies from the $1 spot. For just $10 (plus tax) here are all the fun things I picked up. 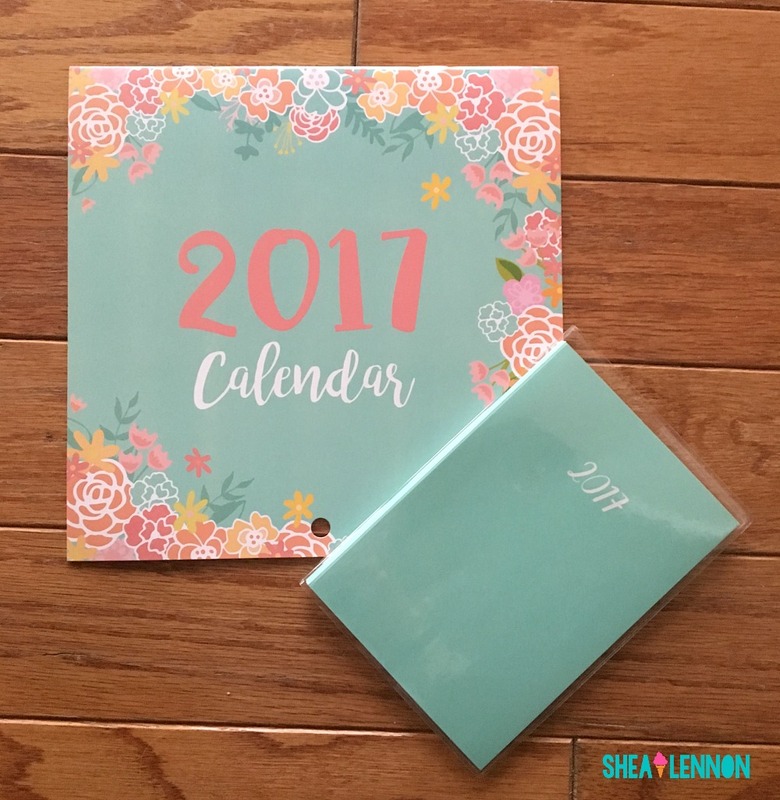 For my wall, I bought a pretty 2017 calendar. I use Outlook for all my work appointments, but I like to have a calendar on the wall to use as a reference for dates. I also bought a small weekly planner because I like to make weekly (and daily) task lists to stay on track. 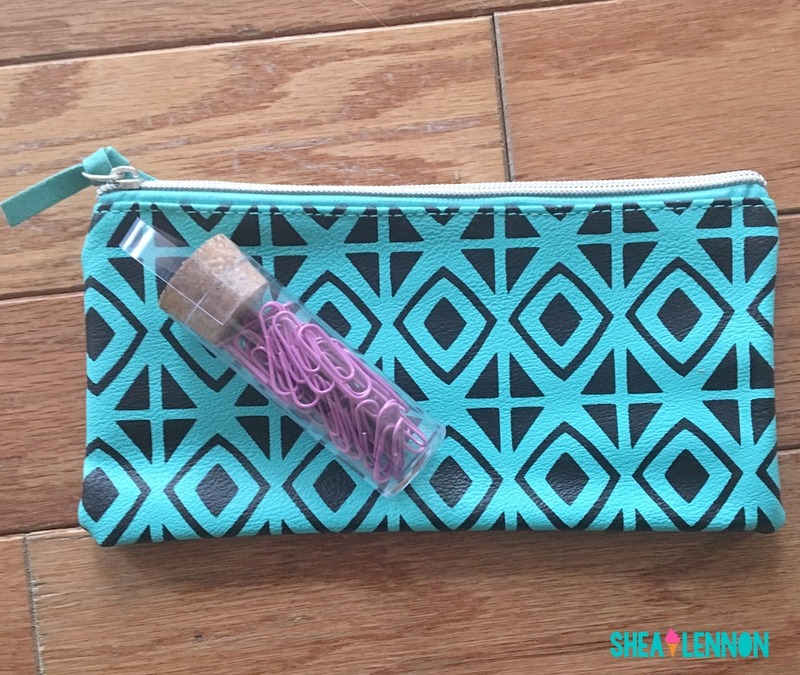 I also mentioned Friday that I love writing with fun, colorful pens, so I bought this cute pouch to keep them in. If I start getting fancy with my bullet journal I can also keep things like washi tape in there too. I go through paperclips like crazy at work, so I picked up these pink ones, because boring papers just need pink paperclips, right? 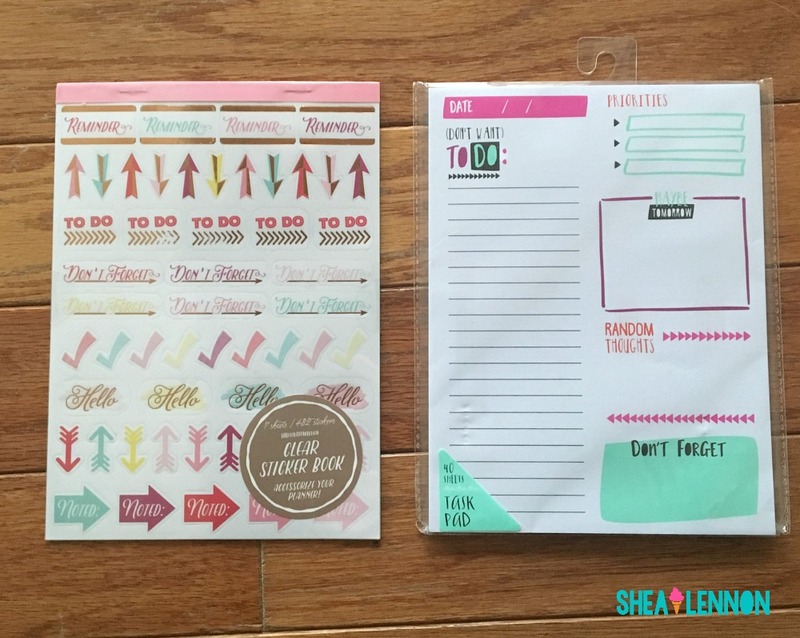 With my bullet journal in mind, I also grabbed this sticker pad with reminder stickers and cute arrows and checks. Finally, as a lover of lists, I couldn't pass up this little note pad with a built in to-do list section, plus places for priorities and random thoughts. Total spent: $10 (not including tax). I'm pretty excited to put all of these things in my office. While I may not exactly look forward to going to work, having all these fun office supplies will make my day a bit more enjoyable. What do you do to make your day job a little bit more fun? 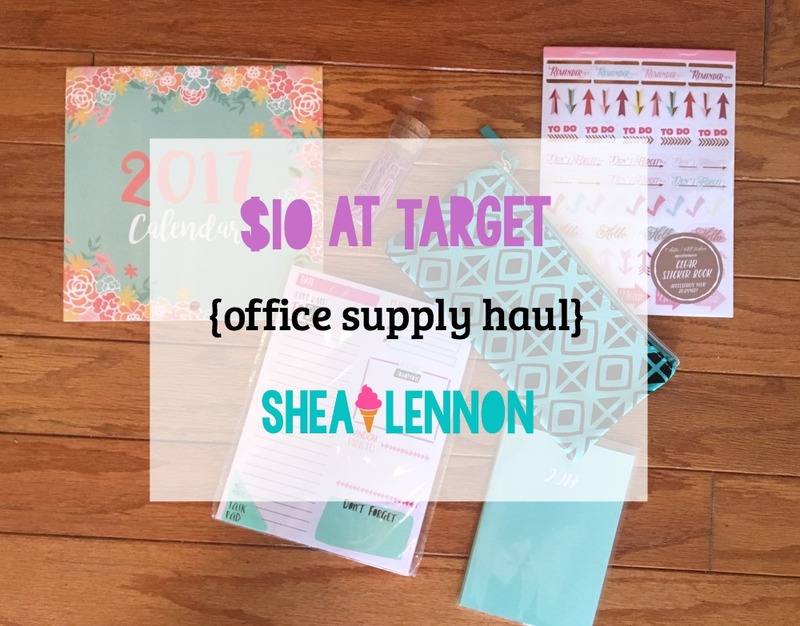 Linking up with $10 at Target. Oh man, some place to go every day? I'll admit I'm a touch jealous. Ah yes, the cabin fever stage. Since i don't have to go back for quite some time, my solution is to spread one day's worth of errands over the whole week. I keep all of our activities in my phone but I like to have a calendar on the wall because it never fails that I'll be on the phone, needing to check the date of something and my laptop will be across the house, likely needing to be charged.